Teak Furniture In Stock? Really? While searching for the highest quality teak furniture, many shoppers are looking for teak furniture in stock. It’s only natural. Once you’ve made your decision, you’d like to start enjoying your new furniture and outdoor space as soon as possible. Not at Atlanta Teak Furniture. We work directly with our partner factory in Thailand and keep inventory of everything we sell in our warehouse. 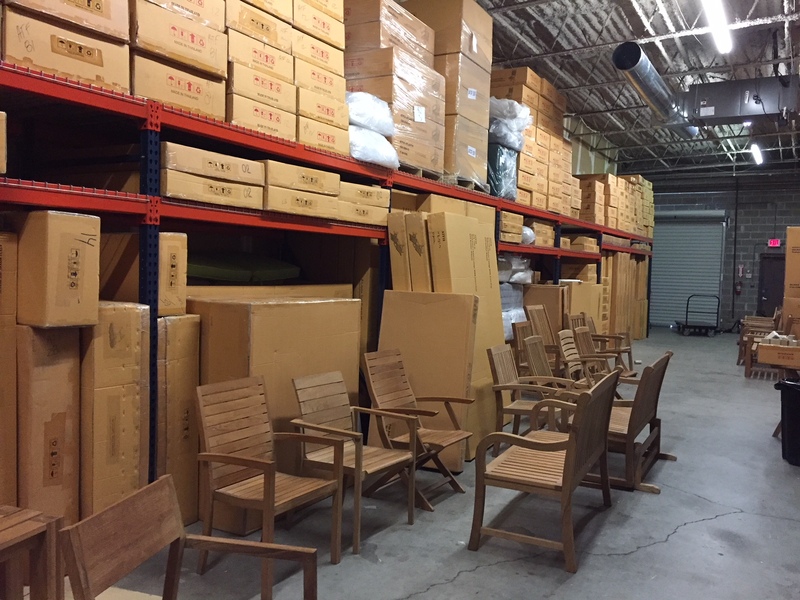 We maintain a large inventory of teak furniture in stock that is typically available for pickup or shipping within one day. This not only allows you to start enjoying your outdoor space as soon as possible, it also helps you to avoid the many mark-ups that most retailers charge. A retailer may buy from a distributor who may or may not be the original importer. So it’s possible that your new teak furniture may have gone through as many as three or four companies (read: price increases) before it got to you. At Atlanta Teak Furniture, our product comes directly from our partner factory to our loading dock. This allows us to offer our teak furniture in stock without the many price markups that are standard in the furniture market. So, with us, you get the highest quality teak furniture possible, at the best prices without having to wait forever to take it home and enjoy. Read our other blogs and visit our teak furniture website to learn why teak from Thailand is the best and how not all teak furniture is created equally.